Just over a month ago the LinkPatrol WordPress plugin was released. So far there’s been positive feedback from the people who have been using the plugin. While we appreciate each and every supporter of LinkPatrol, there’s nothing like reading a positive review from a satisfied customer and blogger. We recently noticed that Harsh Agrawal from ShoutMeLoud gave our plugin an excellent review, and we’re more than happy to share his thoughts on the benefits of LinkPatrol. After graduating public school in 2004, Harsh Agrawal attended India’s Sharda University where he earned a degree in engineering. Instead of accepting a job with Accenture, he opted to become a full-time blogger in April 2009. Since then, Harsh has taken his passion for blogging and has made a lucrative career with ShoutMeLoud and the ShoutDreams network. Prior to becoming a full-time blogger, Harsh launched ShoutMeLoud in December 2008 and has since become one of the leading industry blogs in India. The site has earned an Alexa global rank of 2,979 and has accumulated over 200,000 daily subscribers. The site mainly focuses on all things internet marketing and blogging. Whether it involves SEO, making money from blogging, affiliate marketing or WordPress, Harsh has it covered it all. As for ShoutDreams, it’s become one of India’s top professional blogging networks that includes a total of six blogs (ShoutMeLoud, ShoutMeTech, CallingAllGeeks, WpHostingDiscount, Chromoz and Let’sTalkrelations). On top of running ShoutMeLoud, and the ShoutDreams network, Harsh has written 1,130 articles, which means he’s obviously a busy man who needs a little bit of help from time to time. Over the years ShoutMeLoud has welcomed contributions from over 500 guest bloggers. Between the posts that Harsh has written, along with the guest posts, there’s a good probability that there are some outdated or broken links on ShoutMeLoud. As Harsh noted in his review of LinkPatrol, the Panda and Penguin updates made this a bigger concern since Google has been cracking down on spammy links. And, to remove all of these less-than-favorable links, a website owner would have to manually audit each and every link prior to the release of a plugin like LinkPatrol. For bloggers, such as Harsh, this was a major headache – who wants to spend all night clicking on links? And, that’s exactly why LinkPatrol was developed in the first place. LinkPatrol is intended for people who run their own blog, blogs that feature guest authors or for new owners/managers since it’s almost impossible to keep track of all the links that have been inserted in a site over the years. 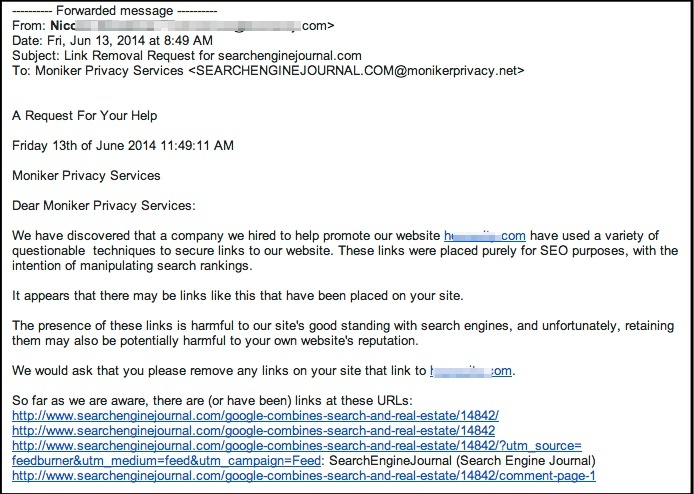 For someone like Harsh, LinkPatrol was an essential and needed WordPress plugin. Scan all outbound links: LinkPatrol scans all blog posts and lists the domains that his blog is linking to via a graph in dashboard. He can also view which authors have the most outbound links per-post. Domain report: This report allows him to see the amount of links coming in and out of particular domains. One click nofollow and Strip: Gives him the ability to one click nofollow every link from a specified domain, as opposed to manually editing every post. Keyword Search: Finally, there’s the ability to search for outbound links based on keyword. After Harsh discovered the beneficial features of LinkPatrol, he gave the plugin a try and was astonished to learn that it scanned all of his 2200+ posts in under a minute. The process was so rapid that he even reached out to our own Slobodan Manic to see if this was too good to be true – spoiler alert, it wasn’t. Besides how quickly LinkPatrol scanned the posts, Harsh also learned that the plugin has a clean dashboard and has an affordable price. His only con was that the plugin has to remain active, but he feels that’s not a major concern because it’s so lightweight. Harsh’s conclusion was that anyone with an older blog or wants to have control of external links should purchase LinkPatrol. In an interesting twist, Harsh even uncovered some old links on his blogs that he could make money from. That’s not always the case, but it is nice to read about the unintended benefits of the plugin. If you you want to read Harsh’s full review, you can do so by clicking HERE. And, if you’ve given LinkPatrol a try we’d love to hear your feedback in the comments section. Or, let us know about a review that you’ve composed. We’d be more than honored to share your findings.